Sometimes these days, I feel like the world is a mess. We are fighting over ridiculous things, and not focusing enough on what matters. Pardon me for the Game of Thrones reference, but it feels like we are living through the War of the Five Kings, squabbling among ourselves over a prize, which will be totally worthless anyways, when the White Walkers breach the Wall and overrun us all. Only in our case, we are fighting over immigration politics while many world leaders and global corporations are ignoring the fact that one of the main contributors to the masses of people fleeing draughts, famine, and other natural disasters are only a symptom of the much larger (White Walkers, Night King on an undead ice dragon-scale larger) issue of climate change. And then, I am reminded of the mato oput ritual. For my Master’s and PhD fieldworks, I went to Acholi, Northern Uganda, which is an area that for many years was ravaged by a devastating civil war. The war lasted from 1986 to approximately 2006, and during that time, many thousands of people were killed, both by the Ugandan government and by the rebel groups, it sought to quench. The most notorious of these, The Lord’s Resistance Army, abducted countless children and forced them into their ranks as child soldiers. 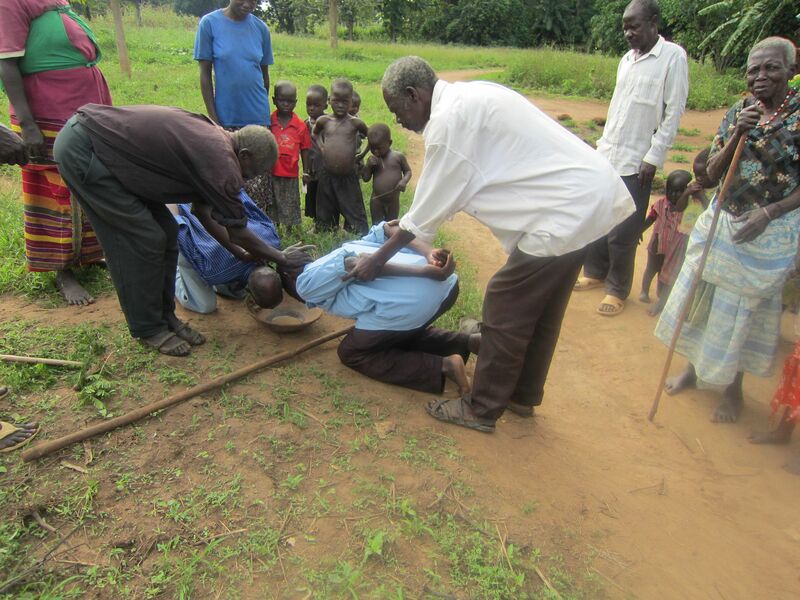 So, you can imagine how Acholi was a place in need of healing, and of learning to get along. But what do you do to move on from a conflict so complicated, where punishing those who have killed, maimed, and looted as part of a rebel army is rarely the solution, because they themselves are victims? In Northern Uganda, there has been a big focus on truth and reconciliation processes, as opposed to plain vengeance. And in some cases, the so-called mato oput ritual have been incorporated in order to bring people together. Mato oput translates roughly into ‘drinking the bitter root’ and is a ritual which has been used for many years in Acholi, to reconcile two disputing families, for example after a murder has been committed. To prevent that the family of the victim seeks vengeance by killing a member of the murderer’s family, a ritual is performed, where compensation is paid, and where both sides literally and figuratively ‘drink the bitter root’. They drink a bitter tasting drink made of the bark from the oput tree, but they also ‘swallow’ their animosity and agree to live in peace in the future. A meal is prepared and ceremoniously shared, and finally, the families agree on a suitable compensation for the wrongdoing – a marriage might even be arranged, to tie the two families together and hopefully to lead to little new family members, to compensate for the one who was killed. 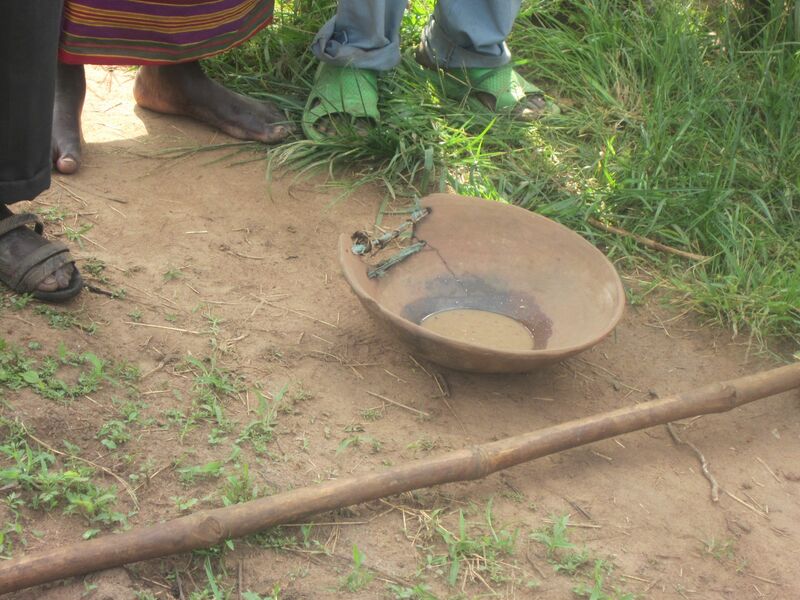 In 2011, two families in Acholi agreed to demonstrate to me how a mato oput ceremony was performed. Here is the bitter drink. An elder from each family kneel to drink the bitter drink, their hands behind their backs as a gesture of peace. The families hold hands over the food, before it is eaten together. Again, this is a demonstration, not an actual ceremony. Now, when it comes to the massive reconciliation task in the aftermath of the war, the mato oput ceremonies played only a little part. But I like the notion of forgiveness and looking towards the future, which is at its core. Because do we not need to do so, if we are to have a future? During my fieldwork, I collected the wooden bowl you see in the picture above. I bought it from an ajwaka, which is a kind of diviner or witchdoctor, who had lent it to many families, who wished to perform the mato oput. So perhaps a little of their good intentions have seeped into its fibres. I am definitely willing to lend it to any world leaders who are willing to put their animosities and petty self-interests aside, and come together to agree to move towards a better future together.